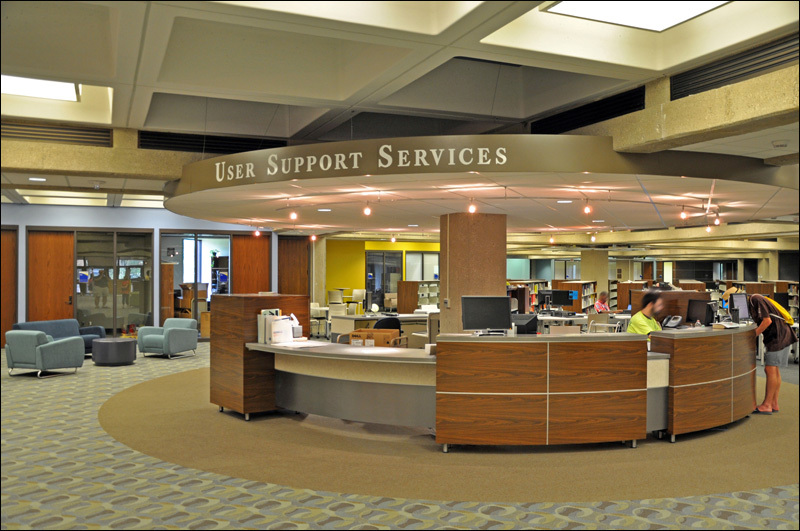 The renovation creates a contemporary library atmosphere by removing most of the print material from the 40,000 s.f. first floor and developing this space into a learning commons, based around digital technology. 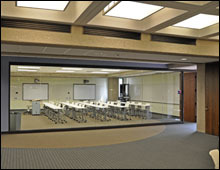 Integration of new furniture with the existing furniture further creates group and private study areas. 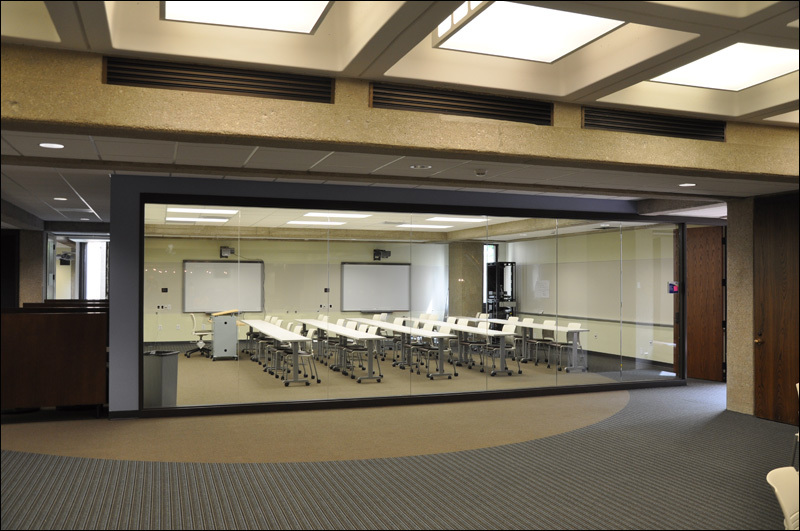 New private group study rooms and an informal learning studio are also included. 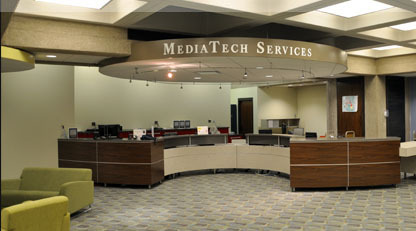 New casework was designed by Four Points for the Circulation Desk, MediaTech Services and User Support Services. The designs for each take into account the functionality and workflow of the spaces for both the employees and guests. New flooring materials were selected for the entire space that creates patterns that reinforce the functions and circulation patterns throughout the space. New furniture selections, textiles, materials and colors for cushioned chairs, task chairs, cafe furniture, and multimedia desks were also included in the scope. 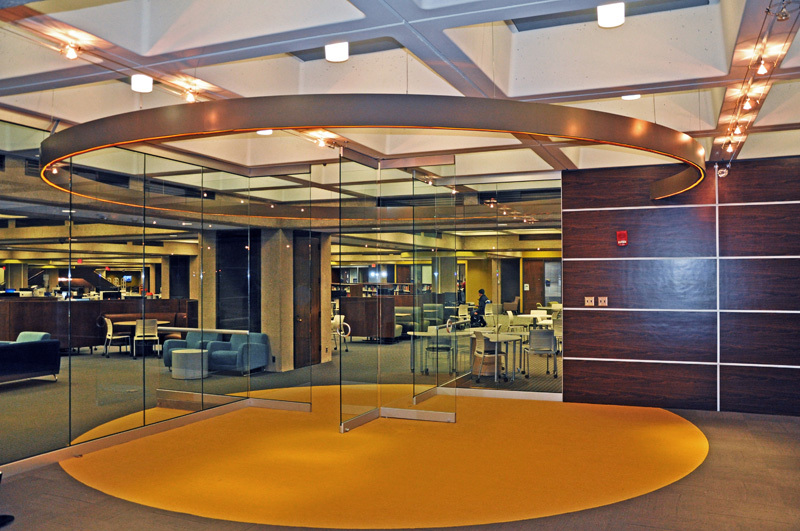 Four Points was the lead Architect, working with DesignGroup as the library design consultant. The first phase of the project included renovation of 9,500 s.f. of offices on the 2nd and 3rd floors. The project also included an 825 s.f. 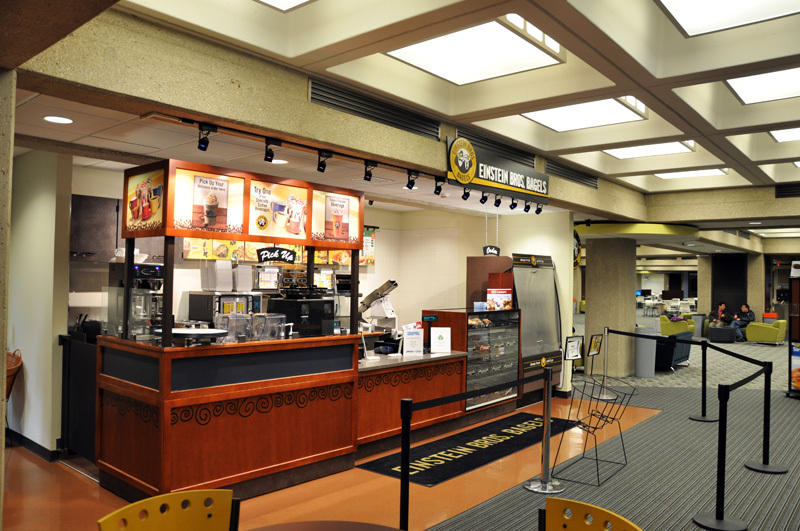 Einstein Bagels location. 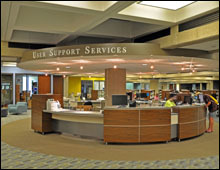 Featured in the 2012 annual Design Showcase by Amercian Libraries.